I am speaking at the Boefly Franchise Lending Spotlight Conference today in Philadelphia. The event brings together lenders and franchisors. Some of the franchisors featured today are Hardee’s, Intercontintal Hotel Brands, Servicemaster, Meineke and Maaco. As you may know, I love stats, so here are some of the stats I’ll be talking about today. The takeaway? 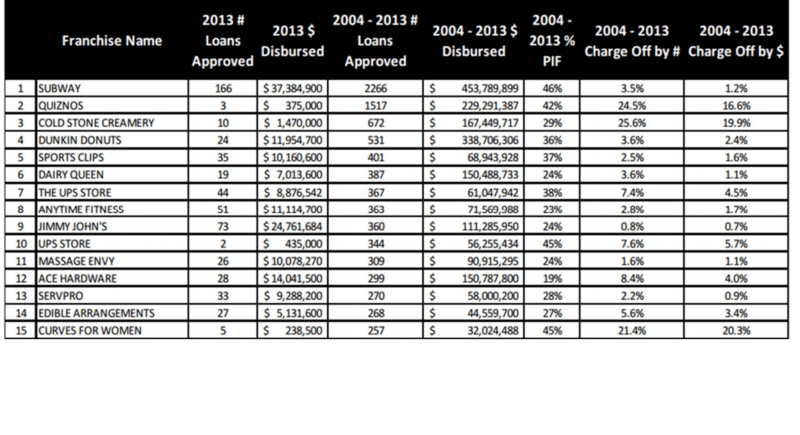 SBA 7(a) franchise loans perform better than than average.